If you are an innovative company and need an innovative partner to grow together you're in the right place. Growing a small business is an unsparing enterprise with all the challenges to deliver in the myriad of tasks. Amidst all the tasks you got to juggle, we happily lend a hand to share in maybe not the most important but a big responsibility which will make your business run smoothly through the support of our Fleet Management Software. While laying the foundation of a small business, two things that will be reviewed the most would be the cost and customer satisfaction. Striking a balance between these two is often a cause of worry for the business owners. Thanks to the continuing advances in technology, it makes human labor easier. The best results will come only to those who make the most of these tools. In this article, we'll provide you with an overview of the best fleet management software that will help you to gain top managing skills towards your vehicles, driver and fleet expansion. One of the topmost tools of fleet Management is choosing the appropriate vehicles for your business. We provide vehicles in all shapes and sizes which will help you decide over a wide range of options as to what suits best for your product. Once past this, clients often wonder how they can make the best procurement decision? The best way is to do a research on all the factors pertaining to your business, product specifications, capacity, and your budget. The biggest boon of technology is the elimination of paperwork which has the risk of human errors. The digital logbooks help in a fuss-free maintenance of government laws and security. The use of the software runs data management very efficiently. This helps to save on an additional labor money. The tracking system installed in vehicles running on GPS works wonders for management. It keeps you updated to the T on the whereabouts of your on-the-wheels business. It's easily accessible from any part of the world and provides you a bigger picture on how you want to manage your vehicles. Even if there are a few vehicles it helps you manage your time and delivery better. The data helps you study your business better by keeping the track of your vehicles. Assures you there is no misuse of the facilities you're paying for. It's important to find the befitting hands for that steering responsible for your profitable delivery. Through the software, you can monitor whether the policies and procedures are in place. The legal license of the driver and insurance needs to be checked for along with driving skills required for the job. Tracking the fastest route and avoiding traffic, mapping in advance helps deliver faster and prevents delayed deliveries. Noting whether the vehicle is being used for the legitimate purpose only. Also, ensuring the safety of the driver becomes a handy task. You can choose the period of lease contract as per your business need, say 12 months or 36 months. This will help in graphing the growth of your small business. Small businesses may find it difficult to order a particular piece of equipment on their own but vehicle specialists will have the experience to provide the accurate mechanical kit with right charges. The app comes most efficient while dealing with the maintenance issues. Servicing and repairs use out a huge amount from the budget. The built-in facility of the software helps to detect any maintenance problems well in advance and saves up on unexpected last minute losses. As the business involves daily road driving it becomes difficult to check on the machine’s health, which is where the tracker notifications ensure undisrupted functionality. It is the key element to the cost structure of fleet vehicles. Damage doesn't come with a notice, hence it's wise to invest in it beforehand. Insurance will help the business save big time during mishaps, accidents and natural calamities. As it's a business running on roads this is a must-have tool. There's an additional benefit of replacement of vehicles and tyres found valuable at the time of crisis, these are just two small benefits of insurance. Installation of this technology might not be cheap but working with a fleet management partner can make it affordable. Outsourcing commercial vehicles have a lot of pros than cons. As a small business, you might wonder why hire? Hiring benefits gives you more flexibility as the hiring company will manage it for you. Unnecessary mileage is reduced by telematic and GPS solutions. The fact that the driver is being observed prevents him from performing any misconduct in routing. One of the most expensive parts of fleet management is the fuel. Fleet managers often share stress during the hike of fuel prices. If you can right sight this situation you can control your finances well in this field. One might think of using small cars so as to avoid high costs, but choosing the apt vehicles for your asset, timely servicing of vehicles and tyres solves the problem in itself. 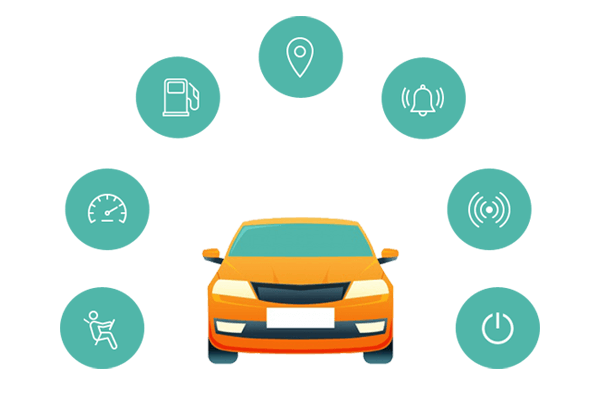 Monitoring driver behavior by proper start-stop signaling, speed control, planning proper routes with help of GPS tracker facility ensures in preventive measures for fuel saving. Get appropriate fuel amount pertaining to miles driven. It is important to choose the appropriate vehicle type from cars, vans, trucks for the required asset delivery. The vehicle is the medium of physical contact between the company and the customers, which makes it compelling to portray images on the vehicle that enhances the vision of the business. A lot of maintenance costs are included in your fees which makes things move without trouble. There are numerous financial benefits like Tax and equity among others like new technology and models with a wide range of options. Now one may wonder, why wouldn't a company want to use a facility that comes with so many benefits like these? It's hard to ignore all these benefits from a company willing to assist you in your daily operations. As a small business owner, you might have a number of reasons for choosing your commercial vehicles instead of using services of a fleet management company in UAE but this article surely would have made you start thinking about the benefits of leasing vehicles. So let's start this partnership on the foundation of greater flexibility, financial control, and efficient business results. This serves as the best option to keep your expenses in check with the help of the experts. Please let us know in the comments section about your questions and our experts will get back to you for your assistance. Let's open the door to a whole new world of Benefits, Convenience and Growth!